It is the morning of Saturday, October 24th, and we are up early out at Fultz Field along the River des Peres at the border of St. Louis City and St. Louis County, just south of Gravois Road. It is a cool and cloudy dawn, and we have a mild but overcast outlook for the day, perfect for walking around the woods picking up trash. My son Eli and I are here, along with representatives from the Metropolitan Sewer District, Great Rivers Greenway, the River des Peres Watershed Coalition, and a number of dedicated Missouri Stream Team veterans, setting up for the 13th Annual River des Peres Trash Bash. This is a massive cleanup event here in the St. Louis area that the RdP Watershed Coalition puts on every year, and today is the big day! A lot of work was on all of our plates today for this event, but it really began months before. 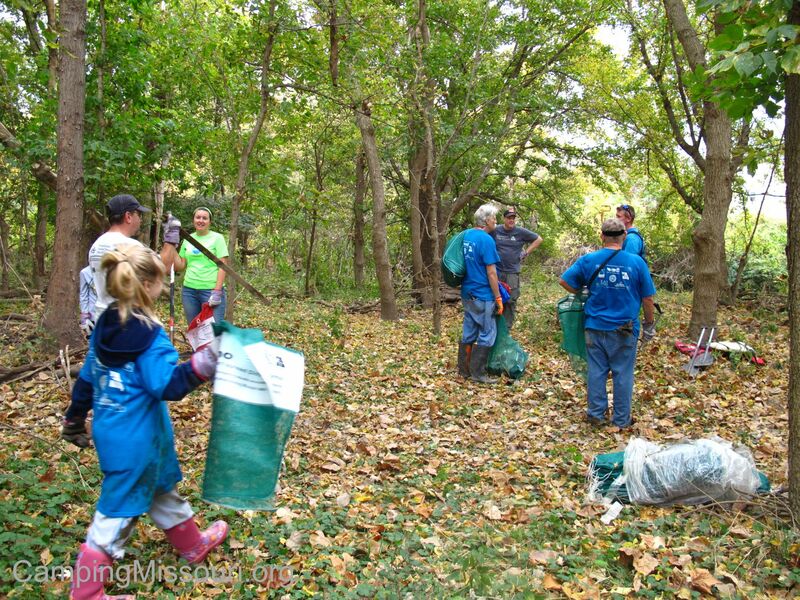 I was lucky enough to be one of the members of the planning committee for this Trash Bash, taking a few steps upward compared to my role last year as a tire diver in Gravois Creek. This year I got to be in on the meetings leading up to the cleanup, discussing and coordinating the plan for the day. We would consider and share our thoughts as to what we wanted it to look like and how we wanted all the wheels to turn, and it was something that I am honored to have been involved in. I look forward to doing it again in the future as I get quite a lot out of being a bigger part of cleanups, but what I was really looking forward to was getting into the muck and pulling out tires. THAT was my ultimate focus. All the rest was just logistical details that my more eloquent conspirators would be handling. I had a section of Gravois Creek riddled with muddy tires that was calling my name. Steve Nagle and Brian Waldrop, the two masterminds who got me involved in this great event! We spent the beginning of the morning getting the tables set up and the supplies and information set out. Piles of Stream Team T-shirts for all the people signing up to wear that day and keep as a souvenir, and boxes of gloves and bags for them to use when they were out doing the work. We had a table of binders that contained maps to all the cleanup areas, and volunteers started to slowly arrive and fill out waivers and get assigned to sites. Something we were trying this year was to have each site leader do a scout trip of their area a couple weeks before to familiarize themselves with it and the challenges it offered, and then be at the registration table on the big day to get recruits lined up for the adventures they had to choose from. Steve, explaining the plan for the day. So time passed and soon enough we had a large group of probably over 200 people, waiting to get out and get to work. 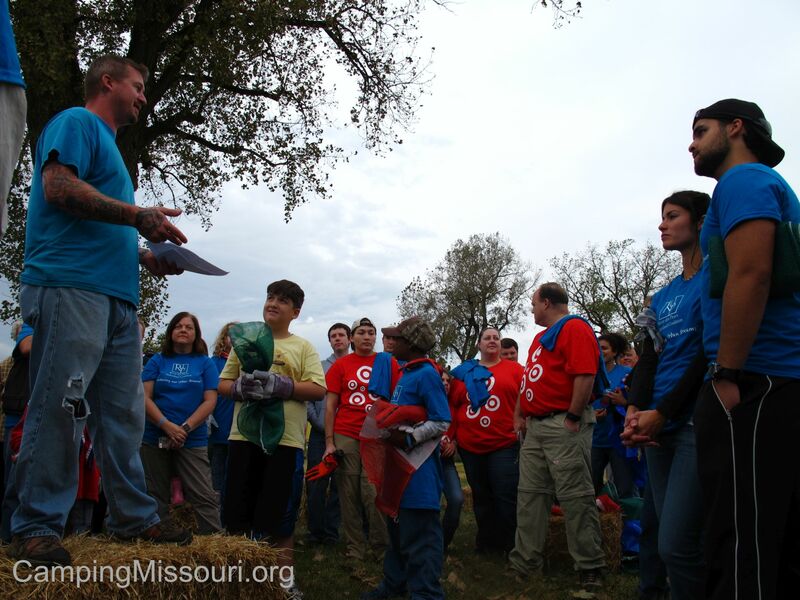 Steve Nagle, the heart and voice behind the River des Peres Watershed Coalition stood up on a straw-bale podium and welcomed all the volunteers, discussing the plan for the day. Then he handed to reigns to me and I went over the safety checklist, setting into everyone’s mind that we need to practice caution and common sense so that we can all get back in good condition. 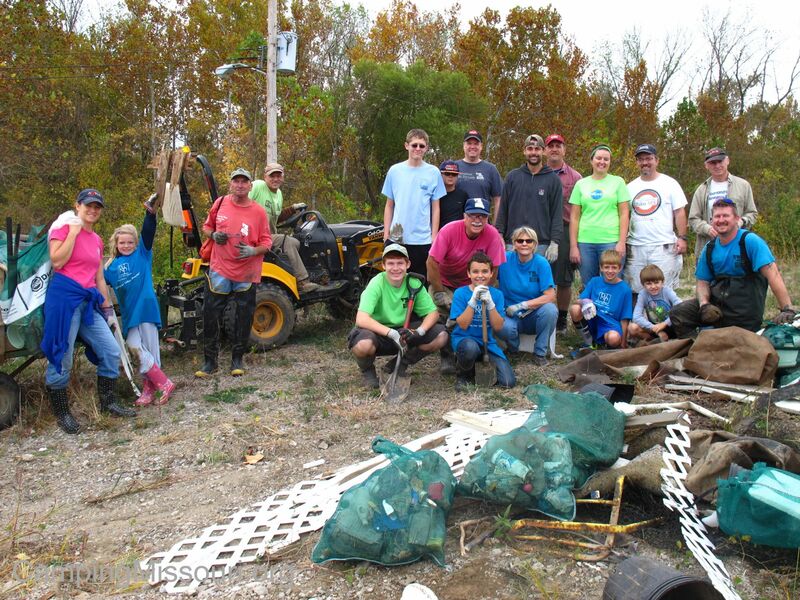 Then we all posed for a group picture, and it was off to the cleanup sites! Me, talking to two hundred new friends! I was in charge of a site along Gravois Creek, a tributary of the River des Peres, in the Lemay area just east of Interstate 55. 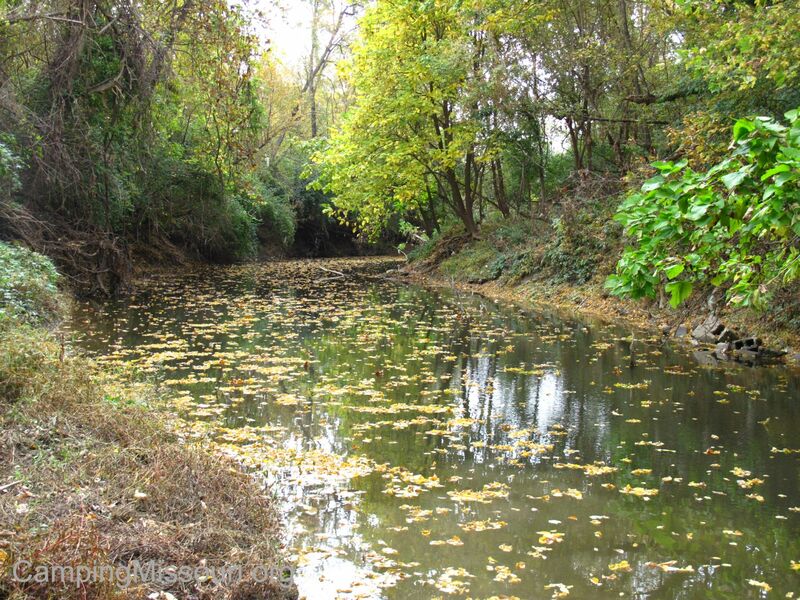 Gravois Creek is probably the biggest contributor of water to the River des Peres, adding its flow just a couple of miles before it joins the Mississippi River. It drains quite a large part of south St. Louis County, including being the creek that runs through Whitecliff Park and under the bridge at the entrance to Grant’s Farm, that thousands of people visit every year. We were going to be at a section of it that is near the easternmost access to Grant’s Trail, behind an old abandoned driving range that was now owned by Great Rivers Greenway. It wasn’t too far from the mouth of the creek, where it joins the River des Peres, so the water is deep and slow in spots, obscuring the abandoned tires and junk that people have dumped into it. Bernie and I and our team of superstars! When our team arrived at our site, we had a quick meeting to mention where we were going to focus our efforts, and how we were going to get the garbage out of the woods to where it could be piled up for the trash trucks to come and get. Bernie Arnold of the Mighty 211 Arnold Stream Team had brought his tractor and trailer, and had already made himself a reasonable path into and out of the forest. This area was in one the busier parts of the watershed, in the context of foot traffic and road crossings, and during our scout trip a few weeks before we had located a bit of the flood plain that contained a lot of waste. It was also right along a section of the creek that had a number of tires in it, so I had brought my waders and a hook to fish out every one of them that I could find. 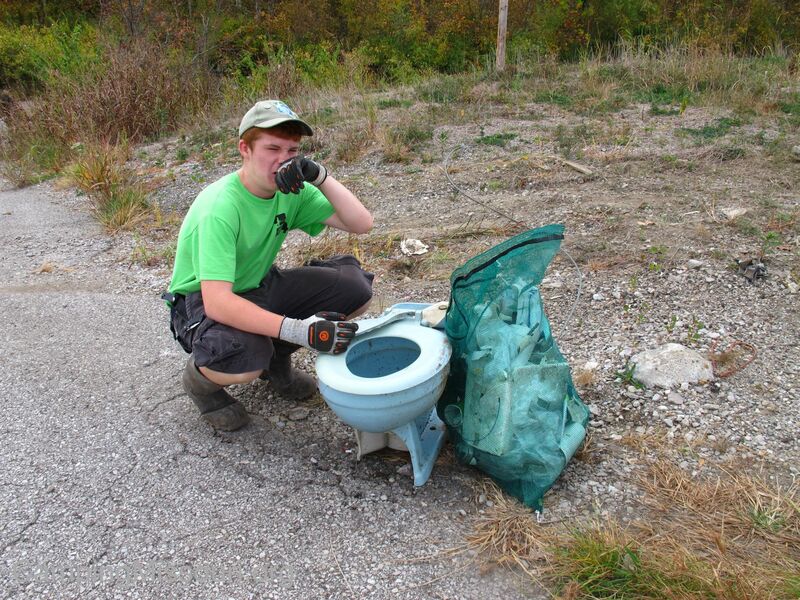 My son Eli, demonstrating how much fun cleanups are! Last year I had a pretty gross adventure, not being so prepared as far as equipment and having a sense of enthusiasm that lent itself to making rookie mistakes, so this year I had a wiser and safer approach. As our crew of volunteers got to work walking through the woods, I put my waders on and got down into the creek. From the bank, I had made a note of where in the water some of the tires were, so I spent my time walking through the waste deep water poking the bottom with my hook and feeling with my feet for the telltale squish of these misplaced rubbery bottom dwellers. Once I found a tire, I would hook the lip and give it some yanks until I had popped it from the muck. Then I would lift it to the surface, grab it with my hand, and carry it over to the bank where I would empty the mud and toss it up to the volunteers. 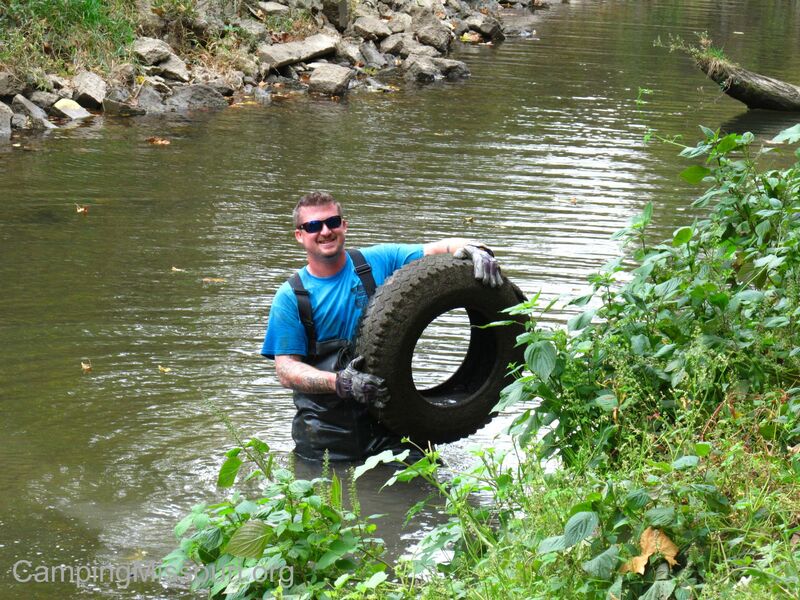 I went through this process for most of the time we spent there, searching and hooking and cleaning and tossing, until I had removed a good 20+ tires from an eight of a mile of Gravois Creek. Not quite as many as I wanted to pull out, but a good number nonetheless. I suppose NOT finding any tires wouldn’t be the worst problem. And so it went for the couple of hours we were there. A group of hard working volunteers scouring the woods along the creek for anything that didn’t belong there, Bernie transporting all the collected garbage out to the parking lot, and me “fishing” the creek for dumped “habitat”. By 11 am it was time to get wrapped up. We all made our way out of the woods, making sure to bring everything we had brought in with us back out, including a canoe that I hadn’t gotten around to even using. It was a good morning, and at the end of it we got around 30 tires and a big pile of debris and filled mesh trash bags. I was very happy with all the volunteers I had with me that day, and what we accomplished was certainly a feat to be proud of. So when all the trash had been loaded into the trucks, we went back to Fultz Field for lunch. An army of volunteers, famished from a morning of hard work making a waterway in the St. Louis area a prettier and healthier place. 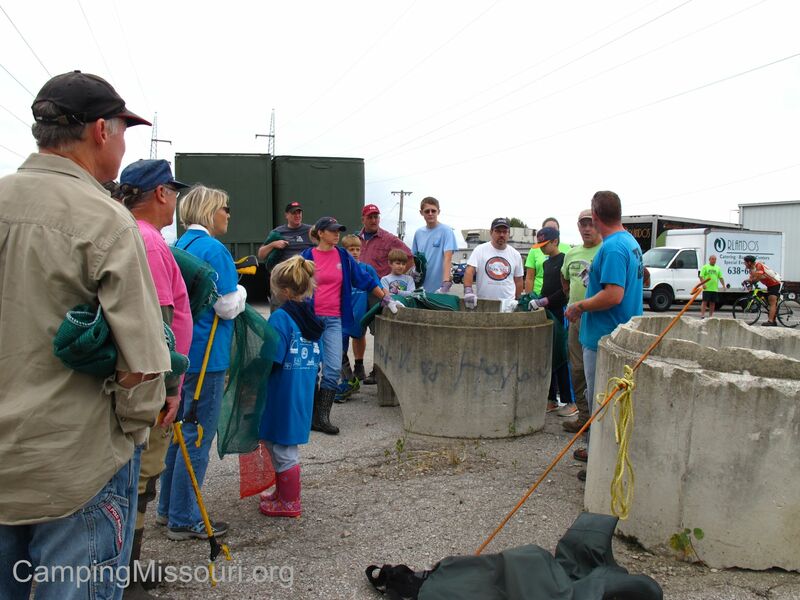 I have been on a lot of Missouri Stream Team cleanups already in my short span of being involved with this organization, and I have enjoyed it every time. With every experience, it has occurred to me that each river and creek has its own unique characteristics and need for attention, but Gravois Creek has become a special waterway for me personally. Besides the level of intimacy I have experienced in it, accidentally submerging a canoe full of tires on the grossest float trip ever, it is within just a few miles of where I live. I mostly grew up in the St. Louis area, having played in Gravois Creek out in Crestwood when I was in my early teens, and these days I walk Grant’s Trail along this section of it with Max on a regular basis. It is my neighborhood waterway, the creek that runs through my community, and with all the pollution and neglect it receives being an urban stream it deserves all the love I can afford it. 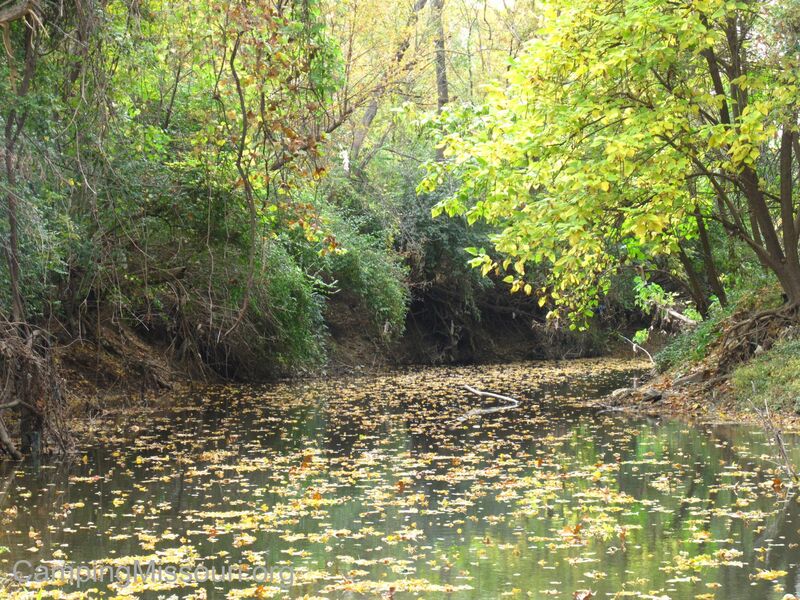 People wouldn’t guess it just by looking down off a bridge while driving over it, but Gravois Creek is home to fish and turtles with the adjoining riparian corridor and forest beyond being home to deer and turkey, which I have personally seen on my scouting trips in the woods there. Between a highway and neighborhoods and flanked by industry and backyards, this green space is an example of the dwindling natural presence in our metropolitan communities; an island of Missouri forest, holding on to what health and beauty the life within it fights for. The water that passes through is a precious commodity, and we ought to protect it with every chance we get. 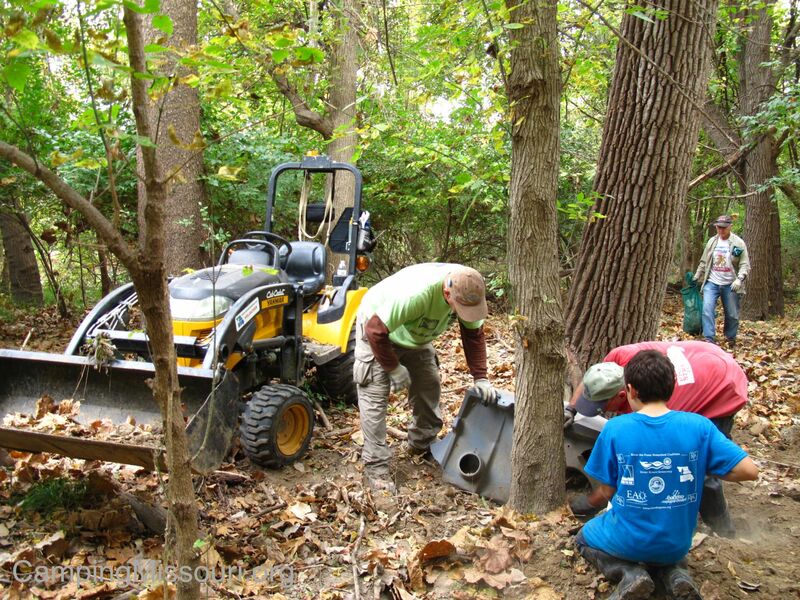 That is what being involved in the Missouri Stream Team program and organizations like the River des Peres Watershed Coalition accomplishes. 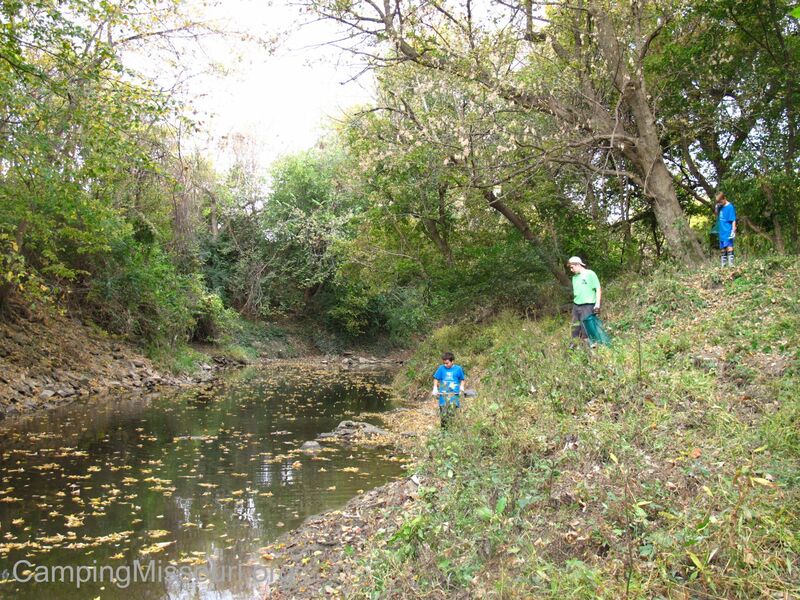 Stream Teams are doing great things all over our state in the protection of water and wildlife, and in the creeks that run through our urban neighborhoods, they need protection more than probably any other. An awesome team of people at the Gravois Creek site behind Orlando Gardens! The morning of Saturday, October 24th at different sites along the River des Peres Watershed, 330 volunteers removed 5.2 TONS of garbage, 5 cubic yards of recyclable bottles and cans, three quarters of a ton of metal, and 88 tires of which I am personally responsible for a good handful of. 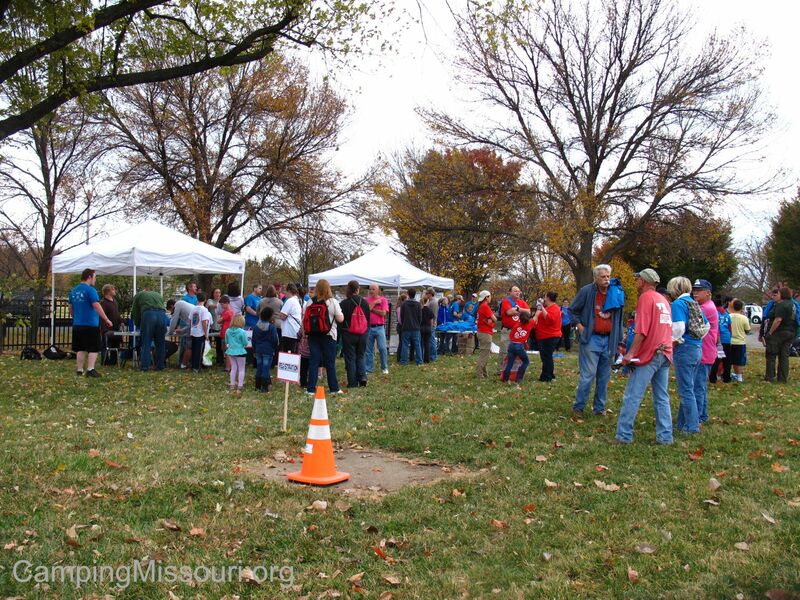 That’s what we did at the 13th Annual River des Peres Trash Bash. This result is something that everyone involved in this event needs to be super proud of. I know I am, and I can’t wait until we get to do it again next year. Until that eventual October morning about a year from now, I will continue to walk Grant’s Trail with Max and scout through the woods along Gravois Creek when I get the chance, appreciating this little spot of forest surrounded by city, that I personally feel charged to protect the well being of. The land in our communities can inspire an honorable sense of responsibility if we really allow ourselves to care about it. Thank you to everyone who showed up that morning. You all inspire me, and I hope to see every one of you at the next cleanup! Grossest and most satisfying treasure hunt ever! 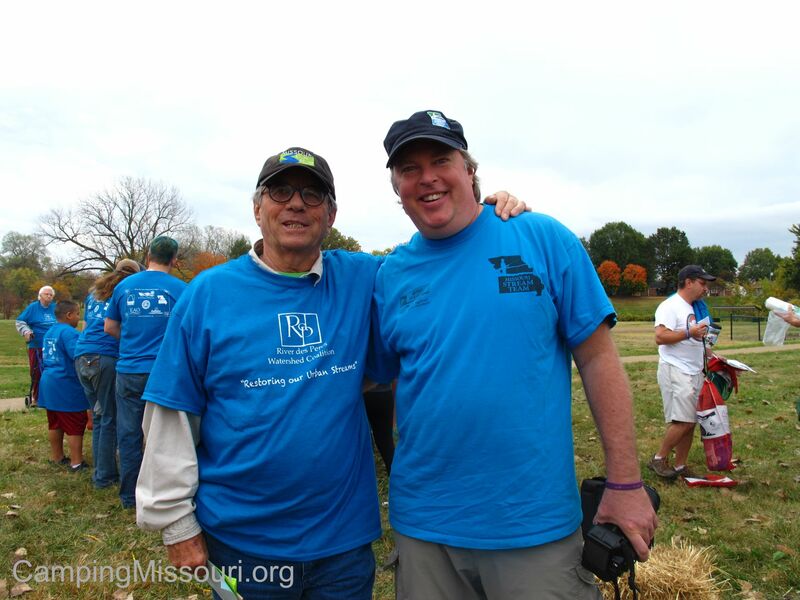 To find out how to get involved, go to the Missouri Stream Team website, visit the River des Peres Watershed Coalition website, and if you are on Facebook check out our page for “The League of Watershed Guardians”. We are always up to something fun and impactful, and looking for people to join in on the adventures! 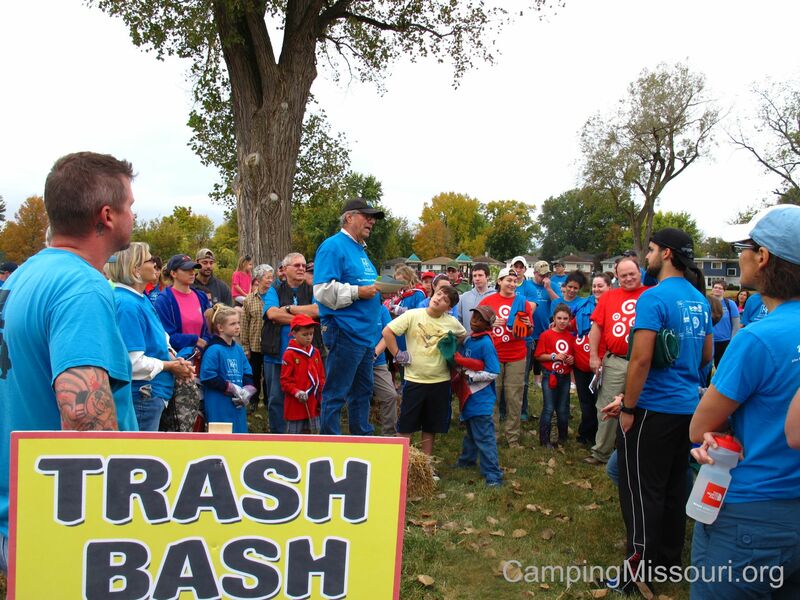 Thank you to Melissa N. for taking pictures AND cleaning up trash that day!